Moving abroad to study in new country isn’t easy. For a lot of international students, it’s often a daunting experience too. But studying abroad, especially in countries like the UK, doesn’t have to be a challenge. 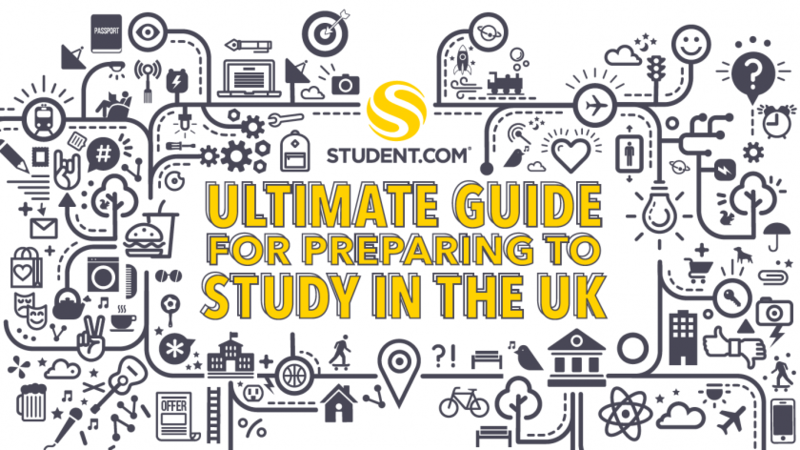 To help international students coming to the UK for the first time, as well as students still finding their feet in the UK, Student.com created The Ultimate Guide for Preparing to Study in the UK. Our UK student guide comes in the form of a handy 62 page booklet, filled with all the information you need to know to make the most of your study experience in the UK. From packing and transportation to student bank accounts and language tips, the guide offers answer to a wide range of frequently asked questions from international students. Our student guide is available to download for free. In addition to an English language version, we’ve also created a simplified Chinese version that also covers a wide range of topics.